» How To Purchase Contact Lenses For The First Time? Today contact lenses are used by a majority of the world's population. Contact lenses occur in a wide variety of colors, types and textures. If one has to make the right choice while buying contact lenses, some background information will be required to make the right choice. There are two types of contact lenses - hard contact lenses and soft contact lenses. These are mostly made of a hard plastic called polymethylmethacrylate (PMMA). They are also called "gas permeable" contact lenses as they allow oxygen to pass through their surface. These kind of lenses are rarely used unless under prescription. These lenses are made of a soft plastic called "silicon hydrogel". This is a water based plastic, and this type of lens is one of the most widely used today. If you are a first-time contact lens user, then it would be wise to gather a bit of background information before you actually go ahead with the purchase. Discuss with others: : Before going to the shop, have a chat with people who have experience in using contact lenses. They will tell you things that you may not have heard from your optometrist. Understand your prescription: Study your prescription carefully and try to understand the type of contact lens which is specified. This will help you selecting the correct type at the shop. Lifestyle factors: Even though your prescription will tell you the basic requirements for your contact lenses, you will have to finally decide on the type of contact lenses which suits your daily habits. For example if you are engaged in sports, then a soft contact lens would be suitable. Market survey: Be sure to make a survey of the different types, qualities and price tags. Today the contact lens market is very competitive and there is a wide scope for good deals if you have the patience to look around a bit. Health factor: Please be aware of the regulatory requirements for contact lenses. Every country has health regulations which govern the manufacture and use of eyewear, so make sure that you purchase a product which conforms to the local health and safety regulations. Budget considerations: Remember that you are now going in for a product which you will be using on a regular basis probably for the rest of your life. 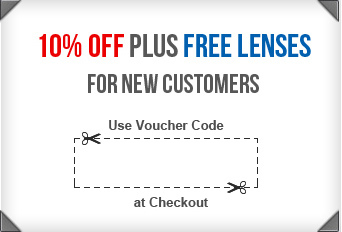 So you should take notice of the price tag and select a lens which will suit not only your eyes but also your pocket. Allocate your time for this: This is a very important event in your life. Your contact lenses will contribute to your personality. Take time off and try them on to see how you look. This will let you know how it feels to wear them. These few tips will put you at an advantage when you set forth your first step to buy your first pair of contact lenses. A little bit of background information will go a long way towards making a sensible choice and assuring you a comfortable wearing experience.